The reservoir project involves approximately 1.7 million cu. yds. of earth moving. 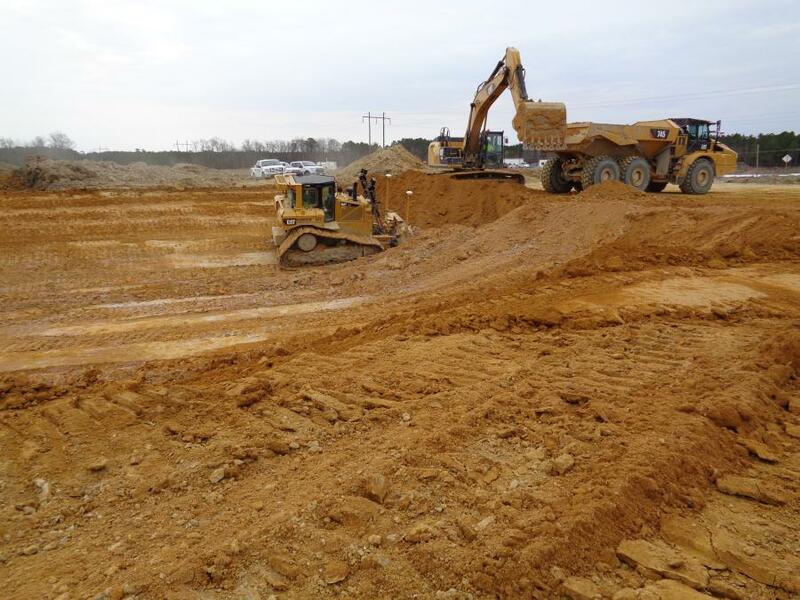 Curtis Contracting Inc., West Point, Va., is currently working on a reservoir project for Greensville County, Va. When complete, the reservoir will serve as the county's raw-water facility, with an approximate storage capacity of 1 billion gal. 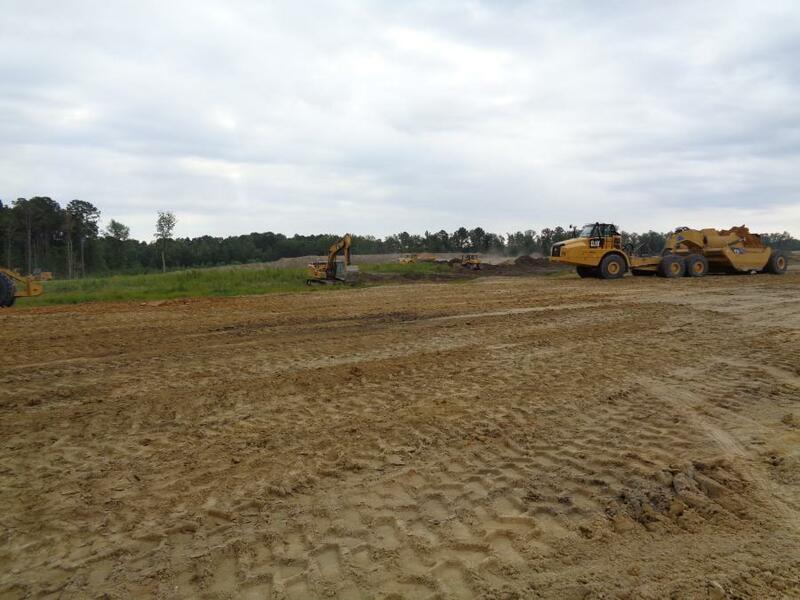 Martin Harrell, project manager of Curtis Contracting, who has been with the company for five years, reported the project began December of 2017 and currently has a 730-day duration, which allows for a substantial completion date of December 2019. The full project dollar amount is $16.2 million, with funding coming through U.S. Department of Agriculture Rural Development. Bill Solomon is the project superintendent, and Tom Cahoon and Ray Harris are project foremen. “The project is currently on schedule even with the extensive rain we have incurred this season,” Harrell said. The contract calls for a 1 billion-gal. reservoir consisting of 180 acres of disturbed area and includes approximately 1.7 million cu. yds. 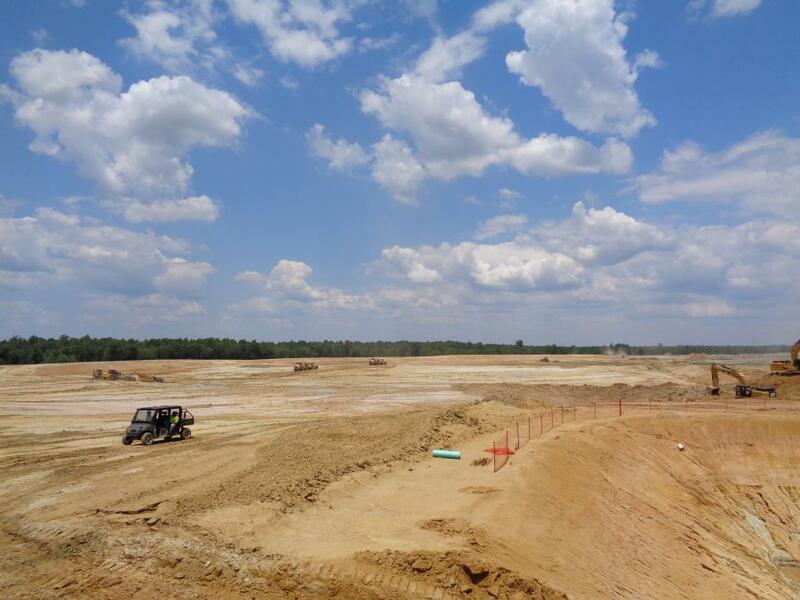 of earthmoving, a 5.6 million-sq.-ft. liner system, an intermediate pump station, reservoir aeration, an access road, and 2,400 linear ft. of 18-in. raw waterline. 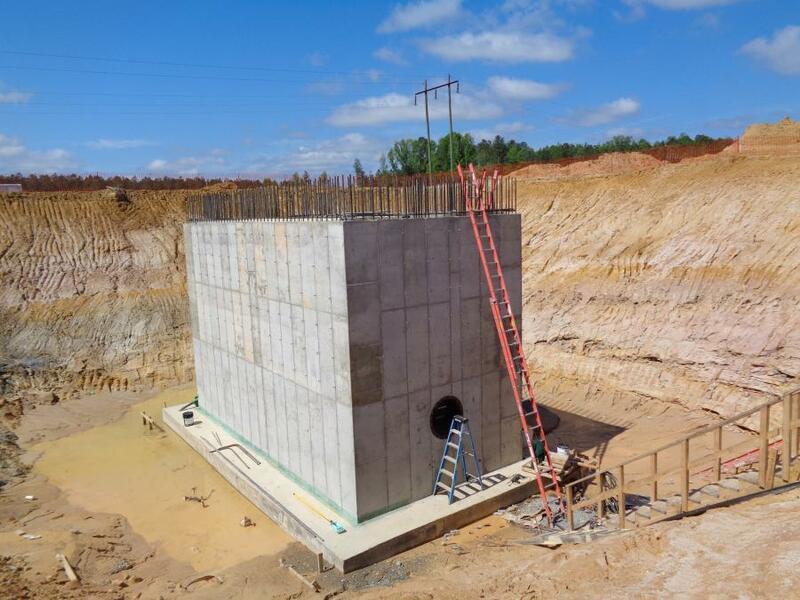 T. A. Loving Company, Goldsboro, N.C., is performing all of the work on the intermediate pump station, its structures, waterlines, controls and piping. Hallaton Environmental Linings is performing the installation of the 60-mil exposed liner, which includes a geosynthetic layer and gas vent strips. 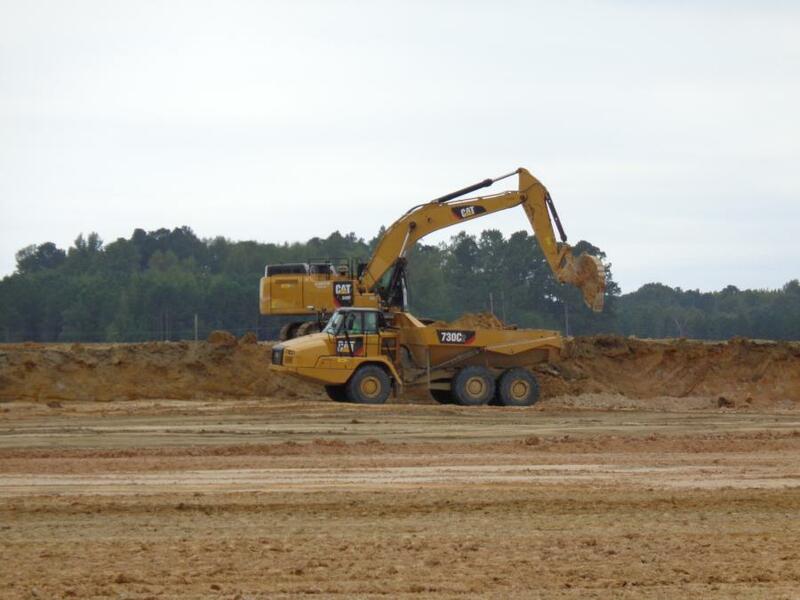 “On this project we are utilizing six Cat 745 off-road trucks pulling MTS 42 cubic yard scrapers,” Harrell said. “These units are being pushed with a Cat D8 and a D9. 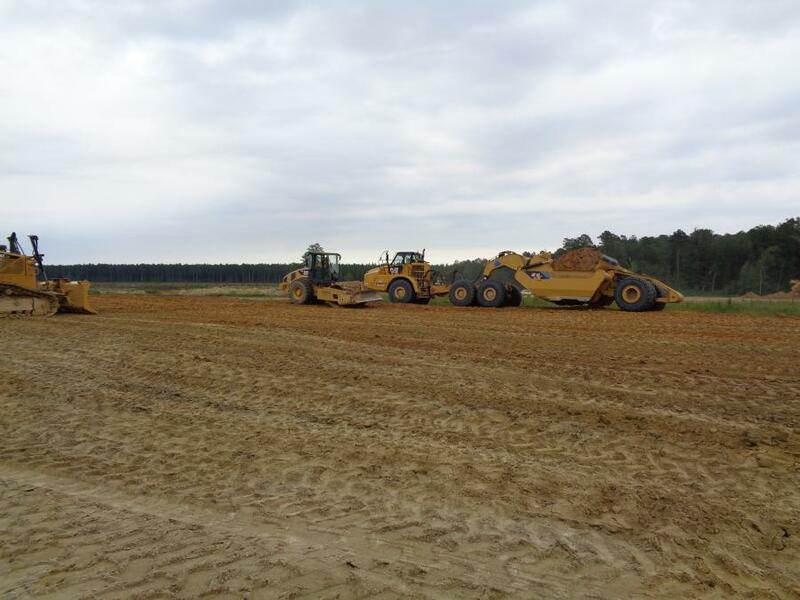 We are utilizing Cat D6T LGP dozers equipped with Trimble GPS units for grade control. Curtis Contracting Inc. was founded by Betty and Mickey Curtis in 1985. The company has grown in size over the years to nearly 400 employees. Andy Curtis is the current president of Curtis Contracting Inc. Steve Ordung is vice president of operations, and Raymond Jarvis is vice president of finance.